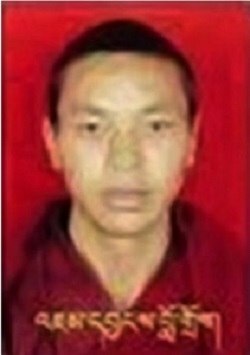 Jamyang Lodru, a monk from Tsenang Monastery, was arbitrarily and violently arrested on 15 May 2016 in Barkam, the capital city of Ngaba County. He has been sentenced to three years in prison. No information has been made public about his alleged crime or any charges. Since then, his family have not been authorised to communicate with him and have been denied any information about his conditions. Jamyang Lodru’s place of imprisonment remains secret as well. Send an email to Zhang Jun, the Chinese Minister of Justice, to demand Jamyang Lodru's release. Jamyang Lodru is part of Free Tibet's In The Dark campaign, which aims to find disappeared Tibetans and work for their release. We are working on the cases of eight political prisoners held by the Chinese authorities, all of whom remain cut off from the world with little or no information about their location or current condition. Urge China to release them and respect human rights!